the EU's hunger is unbridled! 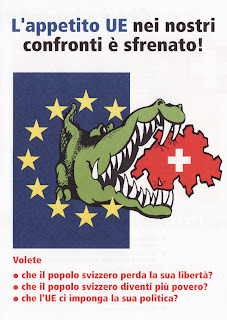 The picture pretty much says it all, really, but the interior of this pamphlet found in our mailbox gives additional details of the slow, painful death Switzerland will experience if it joins the EU: salaries will go down, poverty will increase, family-owned agriculture will be destroyed, taxes will increase, more criminals, more foreigners, more centralized government. Wasn't eastern Europe enough, crocodile of death? Unfortunately for you, the battery and the camera were separated when I saw a flying tree outside my window yesterday. You'll have to take my word for it that, in fact, the city of Lugano was flying in Christmas trees by helicopter. You'll also have to take my word that it was a silly sight. For some reason (maybe because I was stuck inside doing laundry all afternoon) it made me a bit giddy. I ran from window to window trying to see the tree parade with much too much enthusiasm for my age and felt very disappointed when all too soon it was over. There was something a bit magical about it, something that made me think of all the Whos down in Whoville for the rest of the afternoon. One of the few bad things about the downfall of travel agencies in the US, it seems to me, is that travel has lost some of its mystery. Gone are the days of storefront longing, special travel agent favors, thick and official envelopes of red-carbon tickets, the days of returning home with a vacation like a car.... I suppose it's possible to get swept away into a daydream while comparing prices on the internet, but usually I'm stuck in the details, wondering if I've forgotten to search any web sites, if the uncertainty of bidding is worth the potential bargain, or if the price will go up if I wait another day. Somehow, travel agencies are alive and well here in Europe (and I'm told still offer good deals). Thus, around every other corner or so, I'm faced with the temptation of flights and package deals, cruises and bus trips. It's actually perfect entertainment for someone who is pseudo-retired and in charge of trip planning. Sometimes I have to take a break when my imagination gets tired, or when I'm with the less-willing-to-linger-around-every-corner Swiss Mr., but I manage to spend a good deal of time peering into windows. Or else perusing the National Geographic-like travel magazines I've compulsively picked up, later at home. The most interesting places to me are the dangerous ones (I never see any armed guards in the pictures but I know they're there!) or the forbidden ones, like Cuba and Tibet. I'm thinking maybe these savvy travel agents could arrange my trip to Bhutan, where tourism is controlled by the state government. (They charge a per diem fee, part of which goes toward the education system and your specially assigned, mandatory tour guide.) But I bet even they could not get me into North Korea. Although the DPRK web site makes it seem like anyone is welcome to come, if you read closely, you will see that only about 20 people per year are allowed to visit. An interesting postscript to my original post about our local grocer. Migros, it turns out, is quite an enterprise -- a member-owned cooperative which offers classes, athletic facilities, banking services, travel planning, cell phone plans, a magazine, and probably many other services I haven't stumbled upon yet, with a socialized flare. Their attractively-marketed Budget line of goods (which still hasn't dissapointed -- even the very dubitable potato chips proved tasty) was created for low-income families. So I guess we are living on the equivalent of food stamps here. The Budget napkins, promptly dubbed "crapkins" after first use, were definitely a let-down. 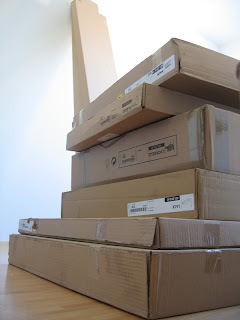 We're trying to power through them but are dying to move onto their stylish yet actually functional IKEA counterpart. Who ever heard of a napkin that doesn't wipe? College student 1: I think I'm going to a concert on the lakefront this weekend. College student 2: Oh really, which one? College student 1: It's this band called "Air and Water" - should be really good. College student 2: Air and Water - are you sure you're not thinking of the Air and Water show? College student 1: What's that? Until a month or two ago, I'd assumed Switzerland didn't have a standing army. Someone set me straight on that -- it's small and shrinking, but it exists. And any lingering doubts I may have had were eliminated by all the army guys packed onto our trains last weekend. Though famously neutral, I gather Switzerland is actually impressively armed, trained, and prepared. Rumors of self-destructing bridges and secret mountainside caves from which aircraft can slip at a moment's notice, not to mention that fancy red knife, make the Swiss military pretty intriguing. It must be hard to be secretive in such a small country. We had the opportunity to be further impressed by the Swiss military force this weekend during Lugano's Air and Water show, complete with army boats, helicopters, and fighter planes. Even from far away, the formations and maneuvering around the mountains and down near the lake was impressive. We couldn't stop watching from our post on the bridge (even knowing that every single person driving by was obnoxiously gaping at our running shorts). Lest we get the wrong idea, the fake bombs the planes dropped (over Italy, it should be noted) were followed by the formation of a giant heart in the sky. In a moment reminiscent of the one in which I realized that The Beatles weren't American (thankfully don't remember and therefore can't admit when that happened), I found out last weekend that the artist Paul Klee is (mostly) Swiss. The Swiss art museum we were at decided to claim him, anyway. Even though he was born, grew up, and died in Switzerland and even though his mother was Swiss, he was considered German like his father. And, tragically, his application for citizenship wasn't approved until after he died. No exceptions to the process, I guess. Klee has always been one of my favorite modern artists, at least partially, I know, because of my attraction to all things tiny. Who can resist those little symbolic drawings, the birdies and the fishes, the tiny figures floating in a spiritual stew of color and music? I learned at the museum that many people underestimated him because of his primitive style. But I appreciate it -- I'm glad that he knew that some things are too complicated to understand as an adult. And now that I know he's Swiss (if only in his heart), I like him even more! Swiss Mr. here. 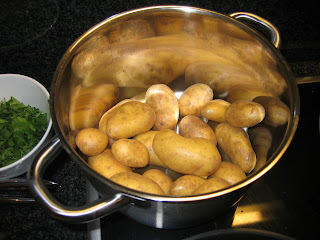 I have abducted this blog for a short Thanksgiving post. 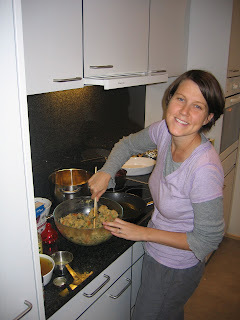 Swiss Ms. is hard at work cooking a delicious meal and doesn't have time for well-wishing. However, she certainly wishes all her friends and family well today. I left work early this afternoon explaining that it was an American holiday today and I was going home to eat. Given the enthusiasm Europeans have for holidays - everyone was happy that I was taking another. Our Thanksgiving meal will feature: roasted chicken, stuffing, mashed potatoes, gravy, cranberry sauce (homemade) and a cranberry desert. Dinner will be served in about 2 hours in case you are able to make it. After dinner, and thanks to the miracle of Slingbox, we will be watching the Detroit Lions punish the Green Bay Packers. I hope you had a great turkey-day. "When" "a little" "is" "not" "okay"
I read recently that average English speakers actively use 15,000 - 50,000 words, and have up to 100,000 more in their passive vocabularies. It's easy to take this for granted, unless maybe you're currently involved in some activity like editing, learning another language, or teaching, or you happen to be a particularly reflective or grateful person. For comparison, there are 1145 words in my Italian children's dictionary. Most of these are common objects, people, feelings, or actions, the most complicated of which include "lever," "armor," and "to extinguish." Though you can't fairly compare the number of words in different languages (I heard once the ratio of English to Spanish words was 2:1), I am still astounded by how many words there are to know. Lately I've also been alternately amazed and dismayed by how much and how little I'm able to communicate with my meager Italian vocabulary. The words "okay," "a little," "everything," "now," "thank you," "when," "is," "understand," and "not" can be combined into a amazing number of ideas, if not always complete sentences. (Though rarely am I able to conjure these from my brain, of course, especially after long expectant pauses in telephone conversations.) If I could be satisfied with communicating like a caveperson, I could probably stop learning now. All this is to say that, although I am generally excited by the vast quantities of information available to learn, today I am feeling depressed by it. Guess I'll go work on the remaining 1124 words that every six-year old should know. For most leisure travelers, the ideal hotel combines both a certain standard of quality and affordability (more of both at once being optimal). In this writer's opinion, if neither can be had, a hotel should have convenience, nostalgic value, or some other je ne sais quois to compensate for the inadequacy. 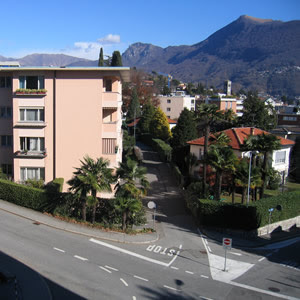 With its unabashedly steep prices, Switzerland may well represent the best place to explore these impalpable qualities which make a deficient hotel bearable. The town of Lucerne in central Switzerland is a favorite stop among tourists, so it goes without saying that the prices are Matterhorn-steep here as well. If you are hoping to avoid sleeping dormitory-style and would like place in town with some character, you're already pushing 200 USD. So, we tried the cheap yet pleasantly kitschy option: Jailhotel Löwengraben, a recently converted hotel located right downtown. Enthusiasm for our accommodations probably peaked while we were checking in, standing in the dimly lit and heavily fortified hallway. The paint colors and mirrors were almost trendy. The big heavy doors and exposed brick entryway reminded us criminals, possibly even dangerous ones, had stayed here not so very long ago. 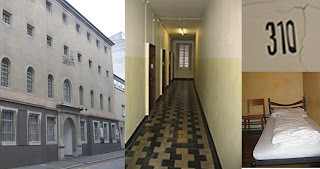 We looked forward to exploring the rest of our "hostile" (or should I just say hostel?) lodgings. Three flights of stairs later, we were standing in front of room 310 with our laminated "key," that is, the door lock combination. (If it weren't for the fortress-like entry to the building, we agreed we might have felt uncomfortable about this arrangement.) The door to our room was indeed the most impressive aspect of our stay in the jail -- complete with a reverse peephole, giant bolt, ancient lock, and pass-through (through which many a meal surely must have been shoved over the years). The rest was, as was duly pointed out to us in numerous guidebooks, a bit too reminiscent of staying in a real jail. Actually, there was a photo on the wall in our room, to show us what it had looked like when it was used as a cell. The room would have housed one inmate, with a table, TV, and clean-looking white (albeit open-air) toliet. The irony that it had been nicer as a jail was not lost on us. Our bunk beds weren't anything to complain about and, though the bright orange toilet seat was a bit too gas station to seem humorous to me, everything was clean and satisfactory. Frühstück was included, as usual, making the price (under 150 USD) pretty reasonable (relatively speaking, of course). 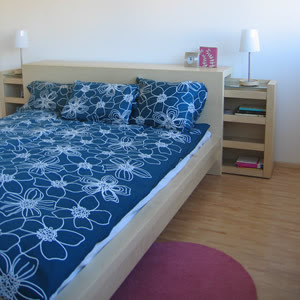 Bottom Line: Interesting and clean enough for a one-night stay. The challenge of being a tourist is also one of the challenges of real life: that is, how to live in the moment without commoditizing it, romanticizing it, or simply not being present to it at all. I often wonder why we take photos while traveling, especially when we rarely even step in front of the backdrop we're photographing to record our presence there. Once in a great while I will close my eyes and try to record everything sensible about a particular place and time - the nuanced smell of the air, the feel of the breeze on my face, the ambient noises, the exact angle of the sun - but more often I just steal a photo of it and hope it will conjure up these things later. 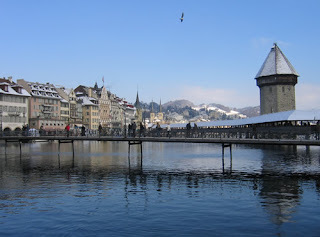 This weekend, however, our main challenge was the weather: it was cold in Lucerne. I must admit not being very present to the beauty of our walk around the lake at sunset. I was however, fully aware of my chapped lips and freezing face. Winter weather is a terrible traveling companion. A less self-conscious individual may have been able to embrace the cold, enjoy it even, but I'm still working on that. Things I did enjoy this weekend, despite (or because of) the cold: glimpses of snowy mountain towns from the train, hot coffee, remembering the German for "I'm sorry" and "thank you" two ways after spilling said coffee, watching culturally-savvy waiters at a Chinese restaurant, listening to Swiss German, seeing graffiti in progress, getting smirked at "Bahnhof Buffet," the smell of chesnuts roasting. Raindrops on roses. Whiskers on kittens. Tomorrow: A report on Swiss jails. A few weeks ago while buying pretzels at a local bakery, I spotted an odd looking little dessert that looked like chocolate noodles with whipped cream and a cherry on top. My curiosity was piqued, so I was primed for a purchase when I came across the premade noodles at the grocery a few days later. I hardly thought before I put them in my basket. When the frozen chicken schnitzel we bought for schnitzel and noodles night weren't schnitzel at all, just naked little chicken breasts, we should have learned: packaging can be deceiving. Yet I was still disappointed to open my vermicelli dessert noodles at home and find a big lump of pasty dough. Not having a clear idea how to make this into noodles, we thought, "perhaps we should eat this like pudding?" However, one taste was enough to know that this was a food to be enjoyed in small quantities. And it was not actually chocolate, but chestnut-flavored. 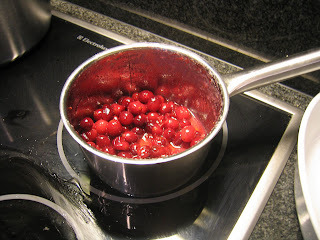 I mulled over what to do with this nutty paste for quite a spell. It actually tasted somewhat like the bean paste found in some Asian desserts, which had me thinking sesame balls for a while. But the ingredients for those are difficult to come by and I'm not really skilled at frying delicate foods. 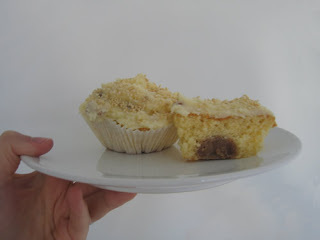 Then fate led me to this interesting little recipe online for Mooncake Cupcakes: bean paste filled cupcakes with date-pineapple cream cheese frosting. Aha! So here is the very homemade-looking results of this recipe made without a cupcake tin. Swiss Mr. can vouch that they tasted better than they looked. If only I had a rose garden and some good friends to eat them with! Admission: my first impression of the recycling here was totally wrong. True, there aren't many receptacles around town, you can only recycle plastic at the local groceries, and they only pick up paper from your house once in a mysterious while. But there is an Ecocenter right up the street that changes everything. When I finally paid a visit during working hours, I had to conceal my glee at everything that could be recycled there: paper, cardboard, styrofoam, clothing, motor oil, cooking oil, organic waste, lightbulbs, car batteries, regular batteries, glass, plastic, wood, metal, old appliances and computers.... We will never have to throw another thing away! In your face, Mayor Daley! At long last, we have a bed with all the necessary parts and sheets whose fibers will allow me to sleep. this bed represents the triumph of the human spirit! This "slightly shady" pizzeria and döner stop is "not somewhere you'd stop unless lost in Milan and getting very hungry" but the "pretty fast service" and "freshly made sandwiches" make it a "much better alternative to McDonald's." Though döner connoisseurs judge that the sandwiches aren't "remotely comparable to the Berlin version," more magnanimous patrons observe that "dirt cheap" prices, "fresh pitas," and "kind service" make it worth the stop. To avoid ordering difficulties, be sure that you "don't order french fries unless you know the Italian word for them" as the "French and English will be received by a blank stare." Recent visitors warn that the restaurant is located in a tangle of ethnic neighborhoods "somewhere between Milano centro and the A9 highway leading north toward Como" and "might be difficult to find again, with or without a map." The Italians love their coffee. I love their coffee too, although if I took espresso shots at the bar throughout the day like they do, I would need to seek medical attention (like I should have that one time college when I drank too much chai and had to go sit outside Trowbridge Hall to wait out the shakes). Though Swiss Mr. orders it strong like the Italians in his lab, I tend to prefer the less chemically intense macchiato or cappuccino. We both sip. 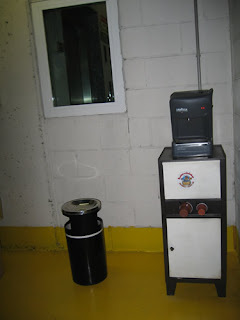 We were amused to find further evidence of Italy's coffee addiction this weekend in Milano: a mini espresso machine in the parking garage where we left our car. Why not brew yourself an espresso while you're waiting to use the public restroom? Have a cigarette while you're at it and make it a real coffee break. You never know when you might get access to caffeine again. This would also be useful in emergency situations when it's necessary to hide underground. Takes the ick out of panic! I must admit that we did not indulge ourselves here, instead holding out for a coffee near the piazza where we could people watch. So, we ended up at Gucci café instead. Not having tried the coffee in the parking structure, I can't confirm whether it was better or worse, but it certainly was less convenient. 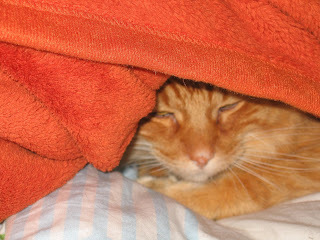 Savvy readers seem to have realized that Atticus has been conspicuously camera-shy the past few days while "adjusting." (Why doesn't Atticus get a pseudonym, you may ask? That is a good question.) This is not because we left him in Munich or because someone ate him (though Swiss Mr. often contemplates the type of scenario in which this could occur). We love our cat too much for that. In truth, we love our cat more than a sizeable amount of money. Though a resilient kitty, Atticus has been through a lot in his four years: separation from his sister (still feeling guilty about that), emergency surgery, the unexpected loss of his brother, a long journey as cargo on a United flight, integration into German culture, a new home in Switzerland.... As Mom would say, "he's a trooper!" Though he has recently spent most of his days in the most inaccessible place possible, he comes out for dinner with us and is good for a few pets during the night. Like most kitties, I guess, he likes things on his own terms. We returned from Munich full: heartened by friendship, stuffed with German food, and loaded up with goods we can't (or have yet to) find here. I don't have the facts, but Swiss Mr. counted the number of sausages he ate over the weekend, and I believe it was a worthy amount. 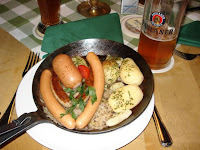 One can begin with the sausages early in the day in Munich, so we had a hearty Weißwurst breakfast (Weißwurst, pretzels, and sweet mustard) with beer before we strolled the city. 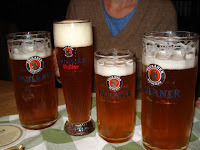 To the chagrin of my German host, I substituted coffee for the beer with my breakfast. Joe, in retrospect I will admit this to be a poor choice. 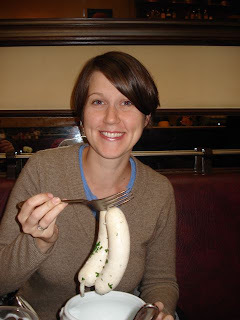 sure am eating ethically questionable sausages for breakfast! We couldn't really help but exclaim our love for this country which effortlessly provides so many satisfying and delicious foods. Our enthusiasm (which we hope remained charming) extended right down to the expertly soft-boiled eggs we had for breakfast. But of course, good food is not much without good company, so we were lucky to have both this weekend. The ride to and from Munich through the Alps was predictably lovely and curvaceous. I spent most of the trip looking for goats and changing radio stations, and did not document the trip very throughly. Anyway, between the tunnels and curves, it was difficult to capture the scenery. 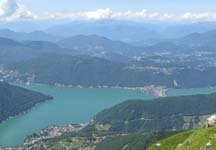 Although the switchbacks were a bit slow and tedious, Swiss Mr. made quick work of the highways, enjoying the combination of the Autobahn and a nice 6-gear VW. The 4.5 hour trip took us through four different countries, right past Heididorf and Skyline Park, and through several deserted border inspection booths. Border security was rather nonexistent when we passed through, so we weren't able to triumphantly produce Atticus's EU passport as we'd envisioned. Still, we are grateful that there were no problems and that Atticus is now safely in his Swiss home. (He's currently still adjusting, so kitty pictures will have to come later. ) We are also grateful Atticus had such great company while living in the big city (though, sadly, he still hasn't stopped looking around for his buddy Bowser). More on Munich when I locate the rest of our photos!